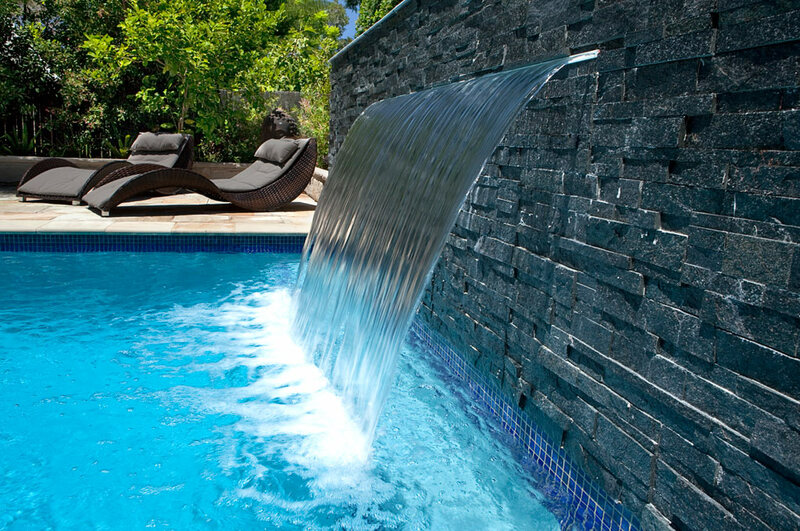 This Crystal Pools swimming pool design is classical but contemporary with a stunning black slate Water Feature and Sheer Descent waterfall, enriching the family’s lifestyle and add value to their home. 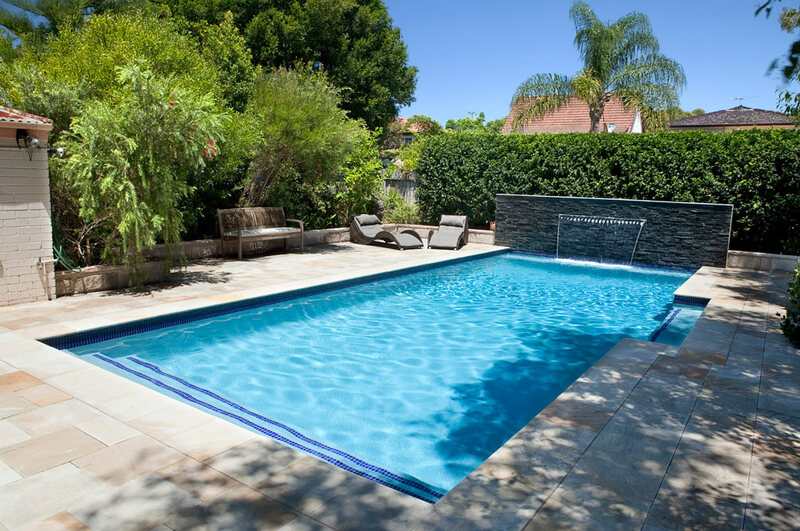 Natural stone pavers are laid throughout the entertainment area and leading from the home to the rear entertaining area. 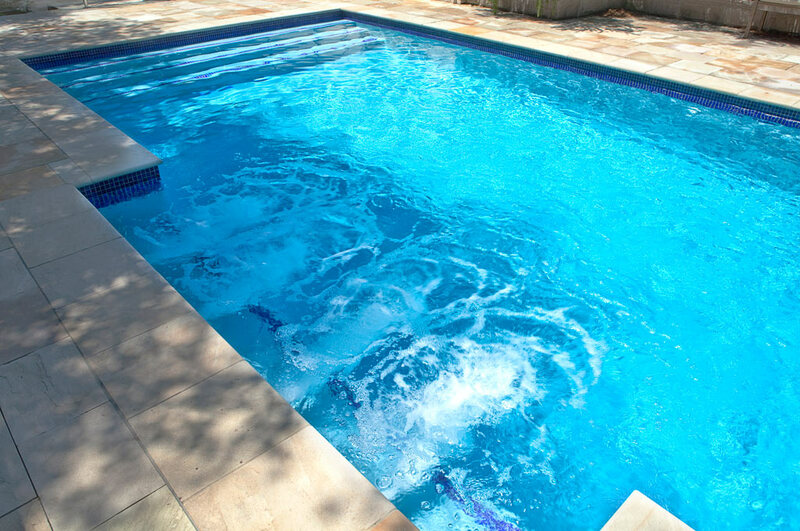 Access to the pool is by way of full width steps adding an elegance and a relaxation ledge with Spa Jets. 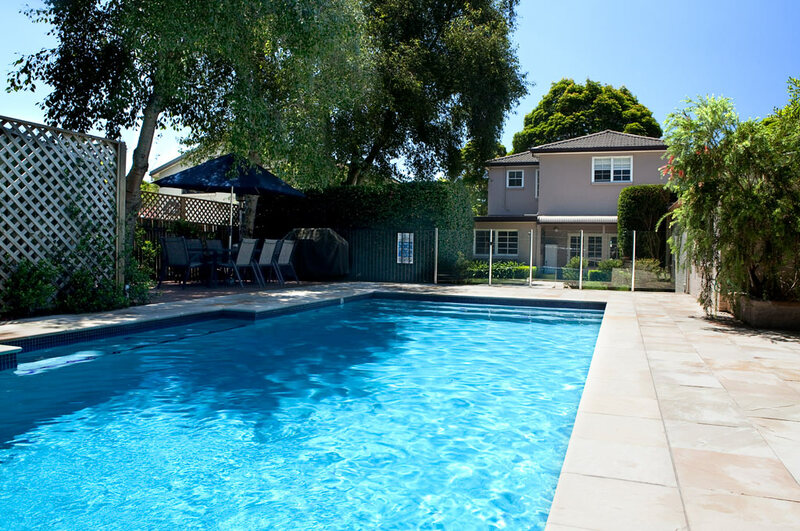 The pool is finished in Resort White with a Blue Fleck with classical deep blue waterline tiles, salt water chlorination and gas heating adding further usability to this charming and classical addition to the property.